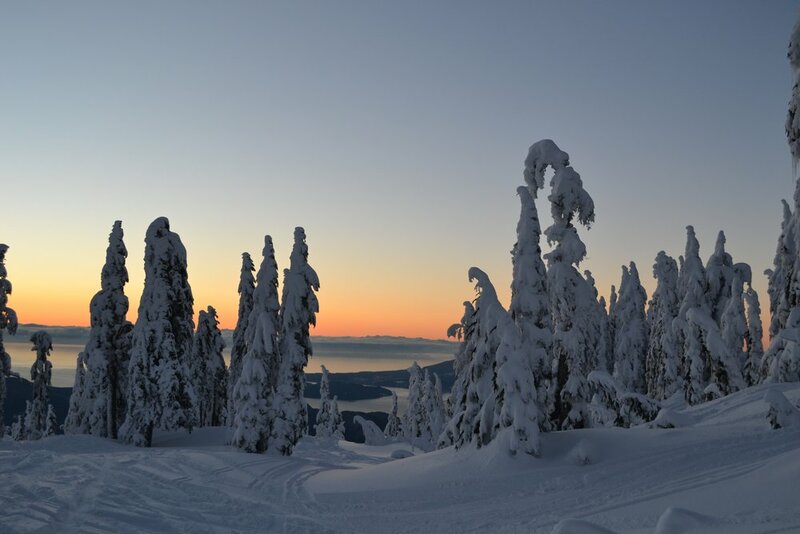 Our guided snowshoe tours offer an exciting way to discover a snowy winter paradise in the North Shore of Vancouver. Join us and venture through the snow-covered forests and majestic mountains. From downtown Vancouver we set off on the short and scenic drive high into the mountains. Arriving at the lodge, we give a short demonstration on the equipment before we begin our snowshoe adventure. 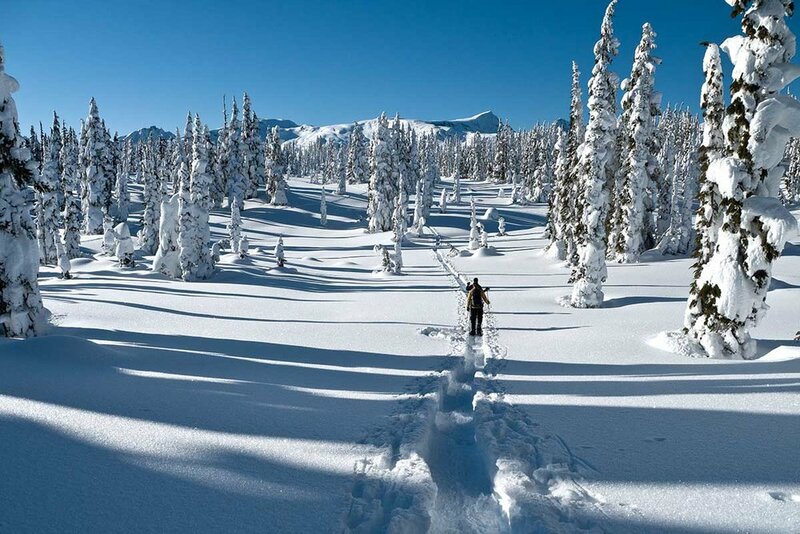 Put your snowshoes on and follow us into the serene beauty of a natural winter playground. Breathe in the crisp, fresh winter air and feel the powder crunch beneath your feet as we hike through the forest. Along the way we learn about the rich culture of the Squamish First Nation who have flourished for thousands of years in this wild and rugged landscape. Our route ventures off the beaten path and meanders beneath the ancient giants of the old growth forest. Experience a world away from the crowded ski slopes and appreciate the peace and tranquility of this winter wonderland. We rest for a while in the snowy forest and enjoy a snack and a hot drink of cocoa, tea or coffee. Relive your jovial youth and build a snowman, make a snow angel or start a snowball fight. Following our break we make our way back through the forest and return to the lodge. We take the short drive back to downtown Vancouver, stopping along the way for a magnificent panoramic view over the city. Snowshoeing is the easiest way to experience the magic of winter in the mountains and it is fun for all ages and abilities. Basically if you can walk, you can snowshoe! It is as a mix of fun, challenge, and learning, combined with the simple enjoyment of being outside in nature. Tours are available on Tuesdays, Thursdays and Sundays. We offer direct pick up from any downtown Vancouver hotel or centrally located transit station. If there is not a tour time to suit your schedule, please do not hesitate to ask and we will try our best to accommodate you. We also offer moonlight tours on select days.